Jimmy Olinkiewicz is a blue-collar gas station owner, building contractor, online antique seller and father of an autistic child. "Outsider" artist Harald Olson is consumed by art, eschewing modern conveniences and sometimes going 72 hours where he "forgets" to eat. 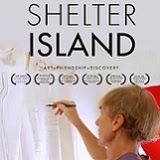 The magic that takes place when these two equally eclectic Shelter Island, NY residents meet is at the center of Shelter Island, an inspiring, festival favorite documentary from filmmaker Michael Canzoniero that makes its DVD debut in May on TDC Entertainment's Shelter Island label. During the summer of 2010, Canzoniero was visiting his in-laws on Shelter Island when his father in-law asked if he might be interested in seeing the art gallery that his friend Jimmy constructed in his gas station, featuring a local "outsider" artist. The idea of an art gallery in a gas station was enough to spark his interest, but once he was introduced to benefactor Olinkiewicz and artist Olson, he knew there was something extraordinary happening, so Canzoniero grabbed his camera and began documenting the poignant relationships and captivating art he saw blossoming before his eyes. The story goes like this: one day, on his way to work, Jimmy drove past a row of Olson's paintings leaning up against a fence, and was greatly touched by what he saw. He stopped, sought out the artist, and began purchasing the art to decorate his gas station-turned-convenience store. Little by little, as Jimmy began to learn of Harald's complicated background and his current isolation, he couldn't help but compare the situation with the needs of his own son, Alex. Inspired in part by this compelling parallel, and in part by Harald's clearly profound artistic talent, Jimmy created an art space for Olson in the defunct garage portion of his service station. 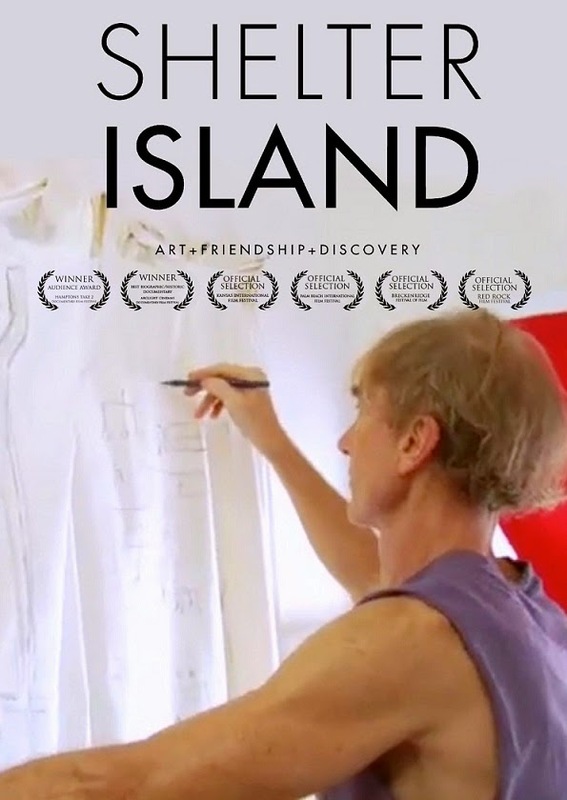 Soon, it becomes evident that Harald's art is deserving of a much larger audience and SHELTER ISLAND follows the amazing and unexpected journey from selling paintings alongside a picket fence to a major showing at a Chelsea art gallery in Manhattan. And it's on the journey towards this goal -- and through the show's success - that it becomes clear that Harald's art is the perfect parallel to Jimmy's kindness: innate, beautiful, and wholly unexpected. Simply put, Shelter Island is an uplifting account of how compassion and human connection can unlock great potential in hidden places.